When the euphoria of victory dies down, and together with it the media hype ceases, when the guns do not rattle and boom anymore, and the sky, the land and the sea become calm and serene, when tranquillity reigns through it is natural to live in the present moment and forget the past. But one cannot live in the present without a past. No can one envision the future discarding the experience of the preceding events. Hence the Daily News wishes to introduce a new feature today, Chronicle of Terror taken from our own archives which would remind our readers how it all began. An awareness of the chronology of terror would help us prevent the recurrence of such terror and frustrate any attempts by misguided elements to repeat history to suit their evil designs. sporadic. It was all pre-planned, pre-determined, well-calculated terror. The victims were innocent people. Though it is too many innumerate we would like to recall the major episodes in the Chronology of Terror. The rise of political violence in the north in the early 1970s after the republican constitution of 1972 was enacted by the Parliament should be looked at not merely as a spontaneous reaction to legislative or administrative steps taken by successive governments from 1948 but as a calculated move to destabilize the country and instil fear into the Tamils of the north who were usually hardworking frugal and law abiding people who did not resort to violence to address their problems. The assassination of Mayor of Jaffna Alfred Duaraiappah came after several incidents of violence and sabotage started by the Tamil United Liberation Front or Tamil United Front youth but the motivating force behind them was of course the extremist elements among the politicians of the north notably Appapillai Amirthalingam who was to succeed as the leader of the TULF on the demise of the first leader of the Illankai Thamil Arasu Kadchi mistranslated to English as the Federal Party. 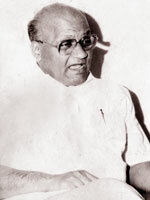 When the Republican Constitution of 1972 was enacted no less than five members of parliament from the north, all of them Tamils had voted for the constitution and it was recorded that Amirthalingam had said at a public meeting that these five members will not die natural deaths but would die in some other ways. The TULF youth had threatened these five members and posters went up on the walls of Jaffna naming them traitors to the Tamils. It was in this background that the rise of the LTTE had to be understood as there were about 50 Tamil youths who had started collecting small arms, mostly robbed from places like Excise Stations or Customs houses or from private parties. They had also robbed some dynamite sticks and were acting under cover. It was also recorded by the police officers on duty in Jaffna and elsewhere in the north that when these youths were arrested and detained acts of violence and threats against politicians who did not condone their activities stopped. And whenever they were released from detention these acts of sabotage or violence started again. Amirtahlingam had told the youth that they should fight to create a separate state for the Tamils and they may get arrested, tortured or even suffer heroic deaths but once all these had passed they would be able to win the separate state Eelam. He had also said the help of foreign organizations should be sought for the struggle of the Tamil people. Yet the tragedy of the Tamil people of the north at the beginning and the east later was that gradually the youth began to get themselves organized as terrorist groups. 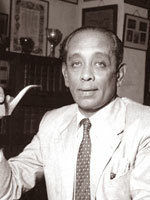 Alfred Duraiappah was a lawyer and was a very popular politician of Jaffna, by profession a lawyer. He believed that the people of the north and the south should unite and he worked very hard to bring prosperity to the people of the north. When he joined the SLFP the United Front government led by Madame Sirimavo Bandaranaike it was in the background of the national food production drive and farmers of Jaffna had become rich producing rice, vegetables and fruits that were mainly sent to Colombo for sale. In 1974 Premier Sirimavo Bandaranaike visited Jaffna to open the new Jaffna campus and on that occasion there was a rousing welcome for her. When she came to the Jaffna Town Hall the wives of the Jaffna farmers spread their long hair on the steps leading to the town hall bending down to form a carpet. But Madame Bandaranaike refused to step over that carpet remarking that she would not disgrace womanhood and asked the wives to get up from their kneeling positions. On that occasion when she asked Alfred Duraiappah why such a reception was accorded to her Duraiappah said that thanks to the policies of the United Front government the farmers of the north had become prosperous. 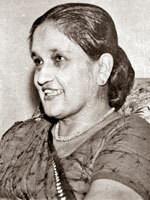 Duraiappah used his influence with Sirimavo Bandaranaike to work for his people. He had several plans to develop the Jaffna town and especially to convert the beautiful beaches to tourist resorts. folk of Meesalai. None of their weddings would take place without him attending it most often as the attesting witness and the Mayor’s residence was a familiar place for them. The day that he was gunned down by Prabhakaran the fisher folk of Meesalai, men, women and children rolled on the sand wailing when they heard about it. His funeral was also attended by these common people and also by the farmers of the north who had prospered during that time. Yet on the day he was killed he had returned after visiting Brunei where his wife was the Chief Medial Officer and usually went for worship at the Punnalai Sri Vishnu Temple. He never believed that anyone would ever harm him let alone kill him. Such was his popularity among the people and he worked hard to raise their living standards and used his influence with Premier Sirimavo Bandaranaike and the ministers to do something for the farmers, fisher folk or others of his hometown. He came from a wealthy family and was a lawyer by profession and had married into a family related to the late Tamil Congress leader G. G. Ponnambalam. At that time the SLFP presence in Jaffna was an embarrassment to the leaders of the TULF especially to Amirthalingam who had by that time become the godfather of armed Tamil youth who were fondly known as ‘the boys’ by their patrons who were the minority among the people of the north. When Madame Bandaranaike visited Jaffna in 1974 the Jaffna farmers put up pandals embellished with potato, beet, plantains, chilly and other fruits to welcome her. When Duraiappah came out of the Punnalai Kovil after worship the terrorist group was waiting for him. While he was coming to get into his car Velupillai Prabhakaran whipped up a pistol shot Duraiappah at point blank range killing him almost in seconds on the spot. A member of the Jaffna Municipal Council D. K. Rajaratmam and an employee of the Municipal Council Loganathan also were injured in the attack. 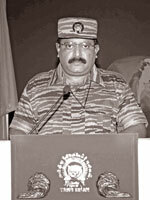 Associated with Prabhakaran were other terrorists Kiubakaran, Sridaran, Santhiyar, Sothiratnam,Kailasapathy and Selvakumar. The group got into the Mayor’s car and fled the scene of crime and on the way abandoned the vehicle and disappeared. Though Amirthalingam and Duraiappah were members of the Jaffna bar, colleagues, neither Amirthalingam nor any other member of the TULF attended the funeral. It was a very clear that the TULF had condoned the crime as they were hand in glove with the rising terrorist bands at the time. The contribution Duraiappah made to Jaffna and to the north in general could not be erased by his assassination and later - poetic justice - Amirthalingam his wife and a number of colleagues were killed by the very same terrorists that they had nurtured and brought up. And finally Alfred Duraiappah’s killer and the entire cohort of the terrorists also met the same fate. Mr. Alfred Duraiyappah, Mayor of Jaffna and President of the SLFP branch in Jaffna was shot dead yesterday afternoon at Punnelavy in the Vaddukodai electorate when he was about to enter a temple. Mr. D.K. Rajaratnam MMC, a member of the management committee of the temple who accompanied him was also shot at and injured in the arm. He is reported to be out of danger. According to first reports, three masked men shot at Mr. Duraiyappah and Mr. Rajaratnam as they got off the Mayor’s car. Immediately after the shooting the gunmen drove away in the Mayor’s car which the police later found abandoned at Sendankulam. The Police have launched a massive search for the killers. A special police team headed by Mr. Ana Seneviratne DIG Range B is now in Jaffna conducting investigations. The team was sent on the orders of the Prime Minister Mrs. Sirimavo Bandaranaike. The Jaffna Police cordoned off the entire peninsula minutes after the shooting. All vehicles are being searched by the police in an attempt to apprehend the assassins. The driver of the Mayor’s car has given the police a brief identification of the assassins with regard to their clothes, police said. Mr. Duraiyappah visits the temple every Sunday and Police believe the shooting was planned. The inquest into the death of Mr. Duraiyappah will be held today by the Malakkam Magistrate, Mr. J.M.D. Jesurathnam. The Government Analyst and a ballistic expert from Colombo are expected to testify at the inquest. Thousands gathered at the Jaffna hospital as the news of Mr. Duraiyappah’s death spread. The Minister of Posts and Telecommunications Mr. Chellaih Kumarasuriar visited the hospital later in the evening. Mr. Duraiyappah was 48. 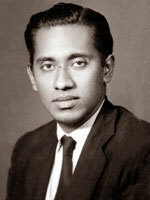 He entered politics in 1952 and became Mayor of Jaffna in 1958. In 1960 (March) he created a major upset in Jaffna politics when he beat the Tamil Congress leader Mr. G.G. Ponnambalam and a Federal Party candidate at the general election to win the Jaffna seat. In July of the same year he was reelected to the Jaffna seat defeating Mr. Ponnambalam and the Federal Party candidate. He lost at the 1965 and 1970 general elections. He was educated at St. John’s College, Jaffna and later passed out as a Proctor from the Ceylon Law College.